Looking for Nicole Richie latest hairstyles? 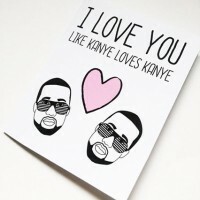 Check out this gallery! Find The Hair Evolution Of Nicole Richie here, including long hairstyles, short cuts, and medium hair, updos etc. If we had to pick one celebrity to do our hair, it would be Nicole Richie, she is my hair icon! Especially her bob cut~! Nicole Camille Richie (September 21, 1981) is an American fashion designer, author, actress and television personality. Richie rose to prominence for her role in the Fox reality television series, The Simple Life, alongside her childhood best friend and fellow socialite Paris Hilton, which lasted five seasons. Nicole Richie’s hair color is blond, she loves to dye her hair in different colors, but most of the time, she dyed her hair in brown. Nicole’s favorite haircut is the bob cut, yes, she loves to wear straight bob cut very much. It is hard not to get caught up in the 1920’s glamour of this style. Nicole Richie shows that the flapper look doesn’t have to be reserved for fancy dress parties with this Gatsby-era inspired look that is full of vintage charm. The hair is pinned back with a perfectly constructed wave framing the face. A graduated colour updates the look and big dark eyes create even more drama. 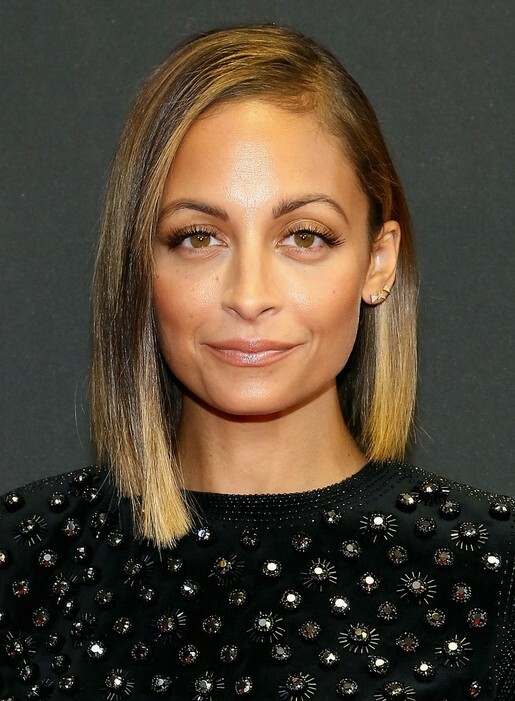 When Nicole Richie wears her hair blonde, she really gets it right with a great array of blonde tones in layer after layer of perfectly-chosen colour. The end result is a style with loads of depth, ideal for those of us with thin hair that needs a colour boost to give it interest and style. The shape is achieved with layers cut into the hair and the loose waves make the most of the shape with a tousled, easy-going look. This is a big bouffant style that really makes a statement, instantly creating elegance and a touch of glamour to any look. The key to what makes this style work is that it is not perfect – there are strands allowed to escape and the bangs are long and soft. With all the hair piled on top of the head, a scraped-back, tight style can look just that – uptight. NicoleRichie natural hair: Nicole Richie gives us a master class in going blonde here with perfect highlights and a stunning range of blonde tones, ranging from cooler ash tones to warmer golden shades. With a short side fringe that rounds out Nicole’s face and a modern razor-cut shape that just grazes the shoulders, this is a very successful look. This is one of the mot popular image on the internet, a lot people do love this straight blonde bob cut from Nicole Richie! How about you? 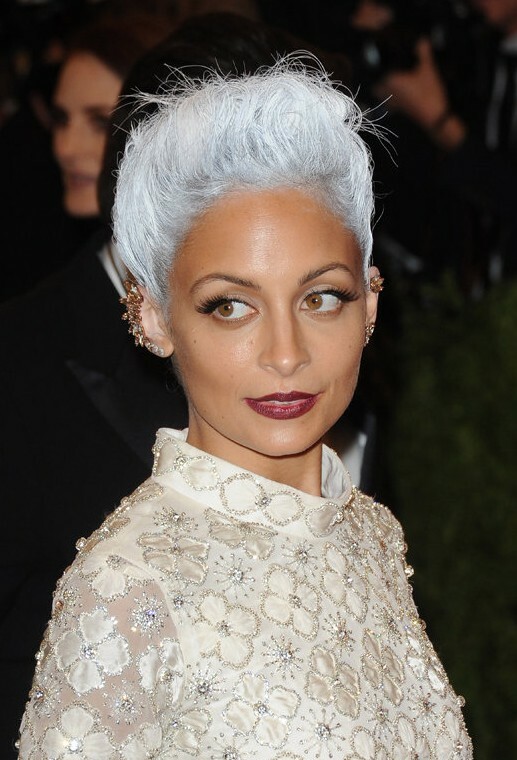 This rather harsh style introduces some ash and grey tones into Nicole Richie’s poker straight hair. While the grey-brown shades do make Nicole’s gorgeous skin-tone really stand out, it does look just a little patchy. This is a great cut – look at how much longer the side swept hair is compared to the shorter side to achieve an unusual, edgier shape. Do you like this medium straight cut? 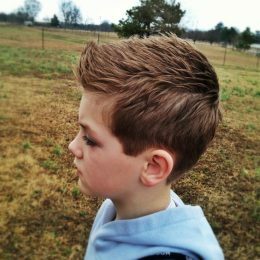 A really cool hairstyle for spring /fall. Check out how Nicole Richie’s hair is exactly the same warm brown shade as her eyes. Not only that, but the tone is suited perfectly to her skin tone, highlighting a perfectly clear complexion. The style itself is relaxed, a very loose gentle wave and an easy side sweep make this a casual look that is feminine and soft; a good choice for sharper facial features. 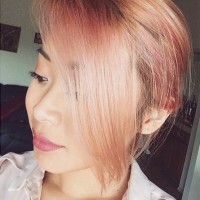 This hairstyle is great for round, heart, oval faces. Nicole Richie topped off her look with a charming crown braid when she attended the launch of Styletag. Nicole Richie Debuts Hot Pink Hair, she looked great with this blonde to pink omrbe hair! Nicole Richie was the epitome of punk elegance in her white Topshop column gown and her shocking silver updo at the Met Ball in New York Monday. The 31-year-old reality star has always coasted through her career thanks to her refreshingly ballsy personality. Find more Nicole Richie and latest hairstyle for 2016 on our site.